Tinuku ~ Zaha Hadid Architects (ZHA) build wooden football stadium for the first time in the world as environmentally friendly lifestyle grade. 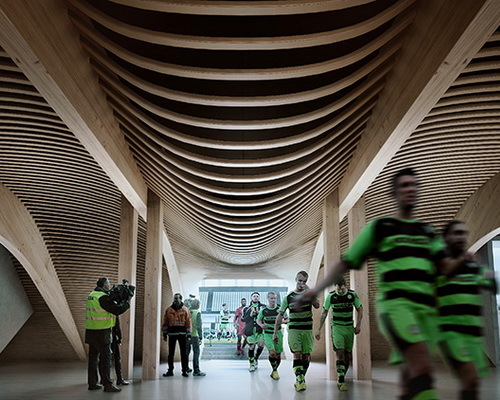 A 5,000 seat capacity stadium was built entirely of wood for England football club Forest Green Rovers. 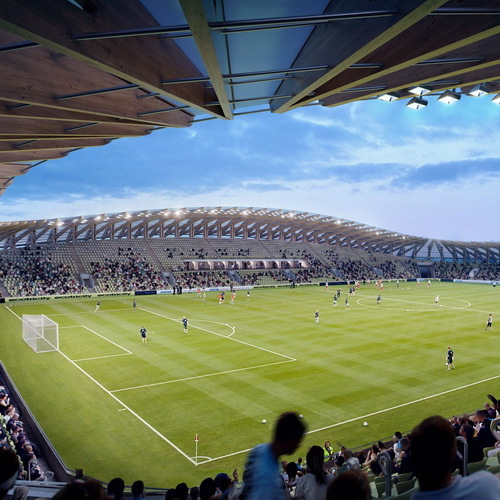 For the first time in the world applied to football stadium entirely made of wood. A green project establishes holistic vision for the site to maintain the quality of pastoral and add new facilities for the city and create public sphere as center for eco-friendly business. 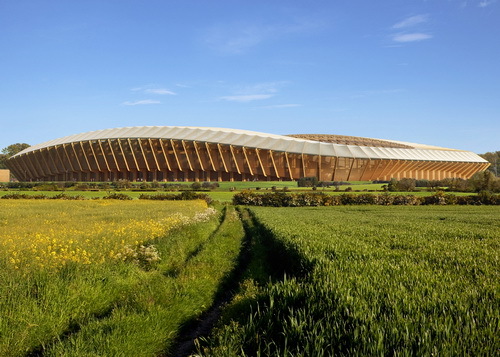 Enterprise architects founded by the late Zaha Hadid won the international competition to design stadium for National League club as green football stadium in the world that uses wood and powered by sustainable energy sources. 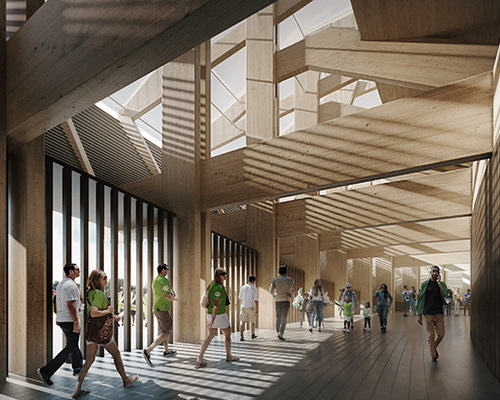 "Really stands out about this stadium is made entirely of wood. The new stadium we have the lowest carbon content of any stadium. This is truly the greenest football stadium in the world," said Forest Green Rovers chairman Dale Vince. Proposals worth £100 million includes nature reserves, public transportation hubs, renovation Stroudwater canal in Gloucestershire, eco park and technology development business. 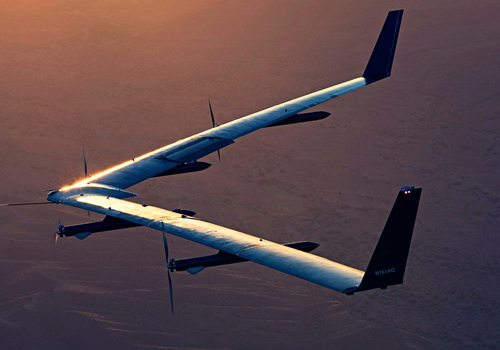 The new project is pioneering design that is entirely low carbon as an architectural design efforts of other buildings in the future. Each element of wood is comfortable and sustainable sources including for the use of the structure, the roof cantilevers and louvered cladding. The wood is very durable and can be recycled beautifully without producing waste altogether. Schemes low audience seating to complement the prairie landscape. Roof covered with transparent membrane which helps grass to grow naturally. Capacity only 5,000 visitors, but the arena was designed to allow for expansion in the future as the club's success.